Yes, I made it! 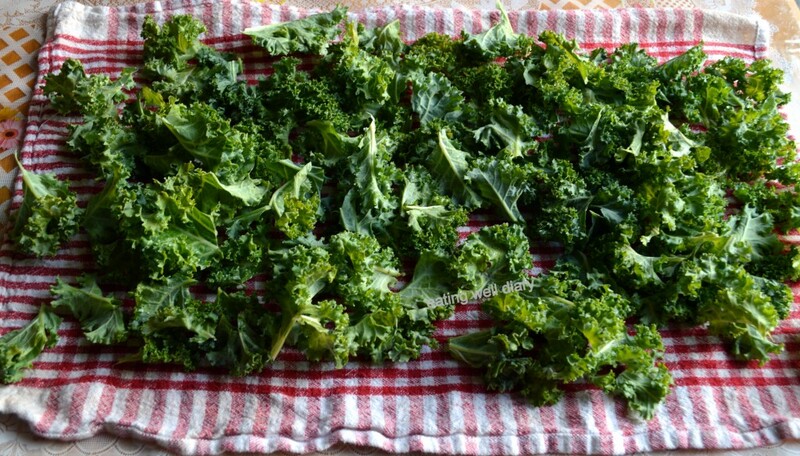 The popular kale chips that every health nut or food blogger has tried or is tempted to try. Kale is a superfood and this is truly the most delicious way to have it. Most stores now carry kale chips in the natural foods aisle. But it is so easy to make at home! You can make sure it is organic and still save money spent on packaged versions. The best way, apparently, is to make it in a dehydrator, to retain its raw-ness. I do not yet have a dehydrator, so used my oven to make these delicious chips with an Indian twist- with homemade masala. This is a big favorite for my kids. 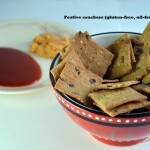 Crunchy chips with creamy cashew coating, spiced with paprika which is mild and adds vibrant color. 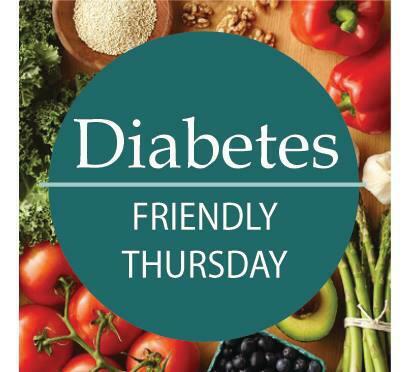 So glad to be taking part in Diabetes Friendly Thursdays initiative by Sonal of Simply Vegetarian 777. Sonal started this venture to increase awareness about diabetes and encourage recipes that will help in managing or preventing the condition. The DFT team now includes Prachi, Shailaja, Sarika, Anupama, Swati and myself. We will be regular contributors in this event. 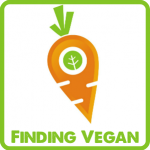 Check this article for more nutritional information. Disclaimer: I am not a doctor or a nutritionist; Please consult your doctor and dietitian for more specifications. Spectrum canola oil- 1 tbsp. fresh lemon juice/ water- about 1 tsp. 1. Wash kale leaves, cut out the center stem portion. 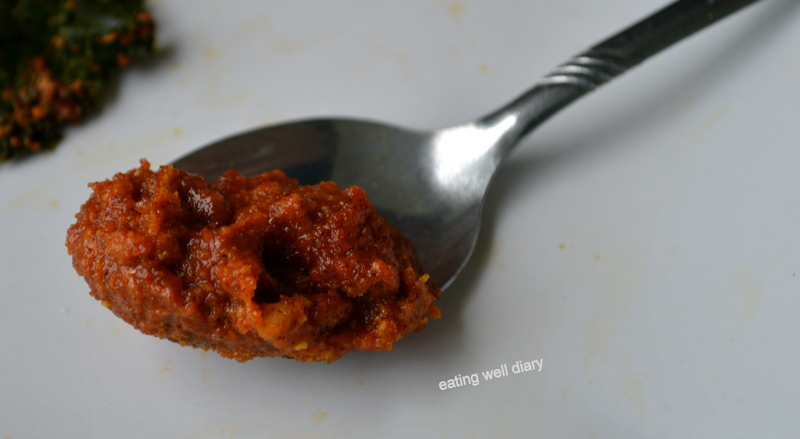 Dry the leaves on a cloth or air dry while you prepare the masala. I sometimes prepare the leaves and leave it wrapped (in cloth) in the fridge to make chips the next day. 2. 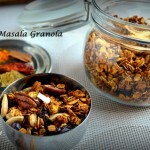 Combine ingredients for masala. Add minimal amount of water. Otherwise, the chips take longer to bake and get soggy soon. 3. Preheat oven to 350 °F. Coat each leaf lightly with spice mix and arrange in a single layer on a parchment-lined baking sheet. Bake for 13-14 minutes. 4. Take out the tray and turn the leaves over, rearranging a little for even baking. 5. Reduce oven temperature to 325 °F and bake another 7-8 minutes. Most of the leaves should be crunchy by now. Keep a watch so that they do not get burned! 6. Remove the fully baked chips. Return the still soft ones back to the tray and leave in the oven (turned off) for a few more minutes. 1. Oven baking time will be significantly less if non-stick pan or aluminum foil is used. I recommend parchment paper since it is mess-free and less toxic than baking directly on aluminum metal. Hi nice recipe. It’s staple in our household n also kale goes well in smoothies too. 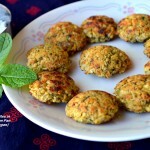 Between I also started posted DFT recipes for sonal from last week. thanks, Sri. Look forward to fun together at DFT! Thanks for championing the cause, Sonal! 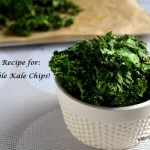 Never added cashew powder in kale chips, great addition.. Yes, it truly adds flavor and some creaminess. 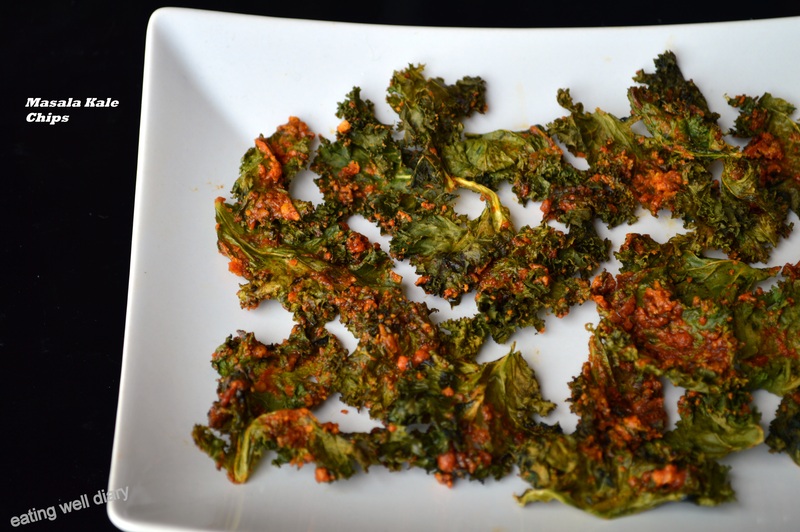 I have tried plain kale chips and was not very impressed. 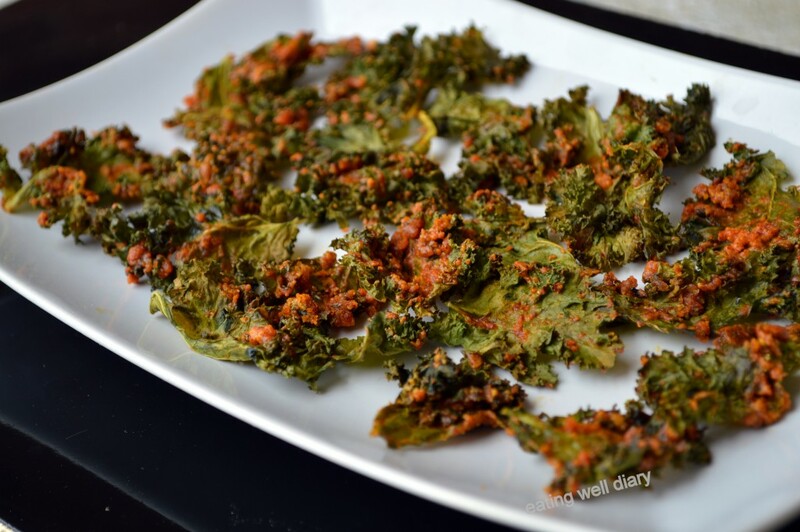 Adding that spice coating would make these kale chips taste better. I will try this recipe next time. Very true. This also makes it a bit more filling. Since kale shrinks the amount we get is low and the spice adds substance.